There was a time when no one knew about diabetes 2. But the disease has become very common in today’s lifestyle. Every third person is going to come in its grip. It happens due to low resistance level. But if you keep yourself healthy and take some special measures then this disease can be avoided. 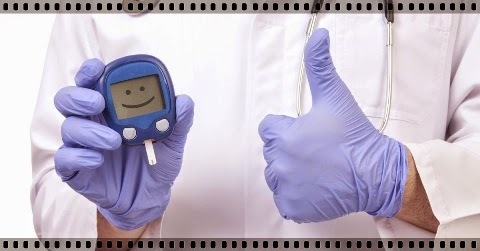 Below are the 7 tips to protect yourself from diabetes. Vitamin D: If you want to avoid diabetes then you should take plentiful vitamin D. You can eat foods which are high in vitamin D.
The use of vinegar: Vinegar made from sugar cane juice keeps body’s blood sugar in control. You can use it in food or in salads. This will significantly reduce the risk of diabetes. Quit smoking: If you do smoking then you should stop it. The risk of diabetes is high in smoking patients. Use less sugar: If you have fear of diabetes then you should use less sugar. You can intake honey in place of sugar. The use of turmeric: Turmeric is panacea in diabetes. The risk of diabetes is reduced by 50 % by using turmeric. The use of magnesium: Use foods which are in high in magnesium. This would reduce the risk of diabetes. You should include magnesium food such as green leafy vegetables, broccoli, beans, awakado, pumpkin seeds etc. in your diet. The use of cinnamon: The use of cinnamon in the diet significantly reduces the risk of diabetes. It controls the glucose in the body.